A growing number of young people identify as transgender, but many miss out on vital care from a family doctor. The authors of a new Canadian review aim to change that. Gender dysphoria is the distress an individual may experience when their gender identity doesn't match the one assigned at birth. Studies from other countries suggest between 1.2 per cent to 4.1 per cent of adolescents identify as transgender. Monday's issue of the Canadian Medical Association Journal is devoted to the health of transgender people, who the editors call a vulnerable population. While small studies show the mental health of teens with gender dysphoria improves when they receive supportive medical care, primary care physicians themselves may lack experience to offer it. 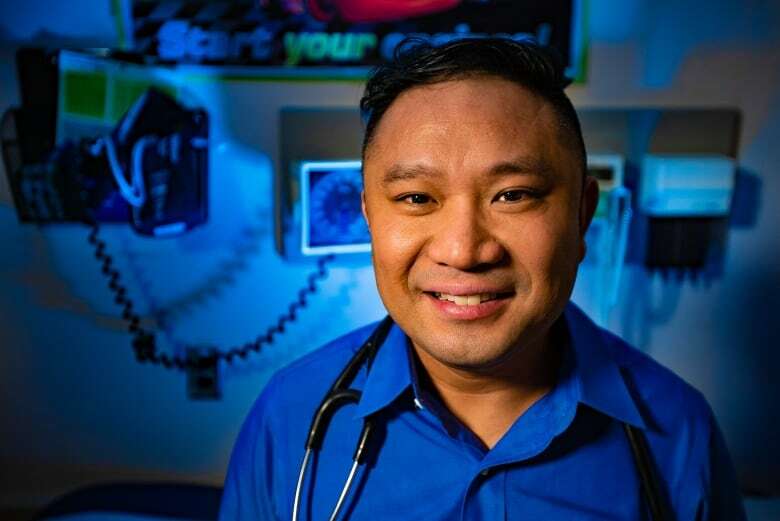 "In many cases, I think primary care providers aren't asking these important questions, let alone romantic and sexual orientations," said Dr. Joseph Bonifacio, a pediatrician at St. Michael's Hospital in Toronto and one of the authors of the new review. "When they do mention, for example, that they may be transgender, they are referred to a gender specialist. And many times the wait list … is one to two years. They can come into my practice with anxiety or depression or other mental health illness." In some cases, the teens aren't attending school. "If you don't ask, then you won't know," Bonifacio said. In the review, the authors said primary care providers can support teens with gender dysphoria and their families. To help, the researchers provided quick-reference boxes of definitions, as well as recommendations on suppressing hormones to delay puberty. The "affirming model" means supporting the child, said Dr. Carys Massarella who runs the transgender clinic at Quest Community Health Centre in St. Catharines, Ont. "You don't have to make any dramatic decisions," said Massarella, a trans woman. "Make sure the child is safe … at school and with their community, and really just be supportive. You know there's nothing more magical about it than that." Anyone in healthcare who works with children or teens with gender dysphoria recognizes it takes time — not weeks or months but years — to get to know these kids and their families, Massarella said. Sydney Tam is a family doctor in Toronto who has worked with the transgender community for nearly 20 years. She wasn't involved in the review. "We're making slow progress," Tam said. "Trans people continue to call them problematic interactions with health providers and institutions. I think that's because of people's values and a certain amount of judgment. The problems are based on a lot of social ignorance … not so much a reflection of what physicians, nurses and other health providers want to do for their patient." Tam hopes the publication, which she called well researched and balanced, will help primary care providers to bridge the gap with patients. Blair Curtis, 18, of Corner Brook, N.L., and his mother found a St. John's-based support group for parents and families of transgender teens so helpful that they've brought it to western Newfoundland. "Everyone saw me as a girl, I was always she and her," Curtis recalled. "But inside I knew." Initially, Curtis struggled to tell his mother, a health-care worker. "There wasn't anything that prepared me, as a nurse, to look after someone or know what transgender really meant," said his mother, Gerri-Lynn Curtis. Blair said he feels fortunate to have good medical support. "I have a doctor here who prescribed me testosterone. She's really accepting, pushing my family to see this was something that I needed." The journal's special issue also includes practical information on transgender-inclusive care, such as the need for physicians to conduct Pap tests on transgender men with cervixes as they are less likely to undergo regular cervical cancer screening, and the need to discuss fertility screening with people before starting hormone therapy.